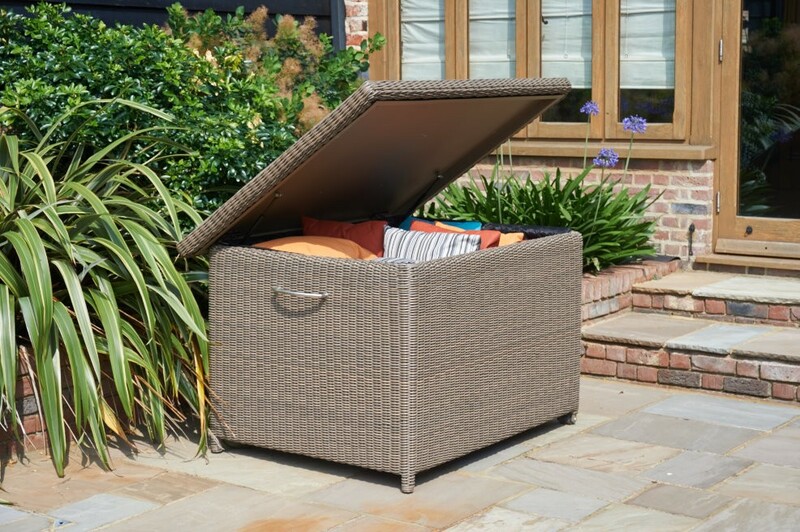 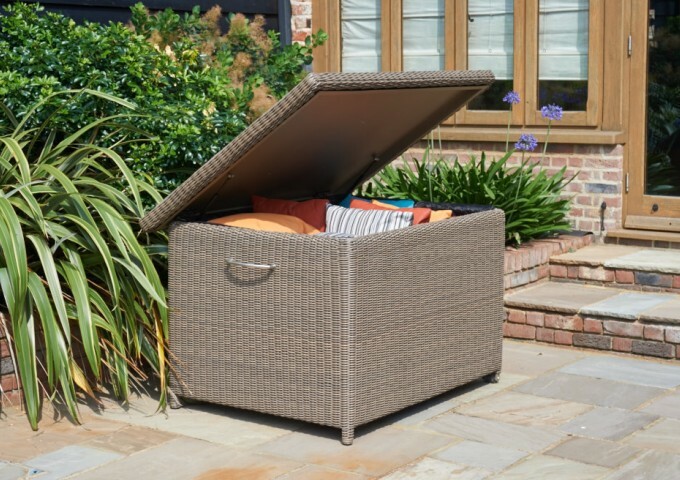 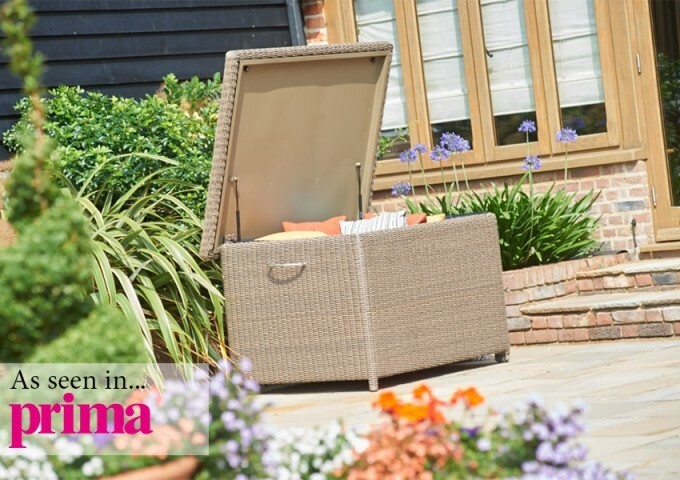 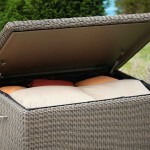 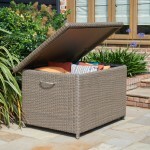 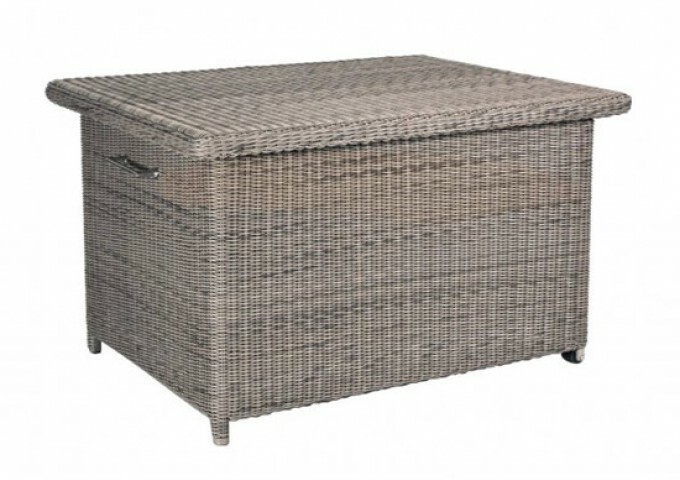 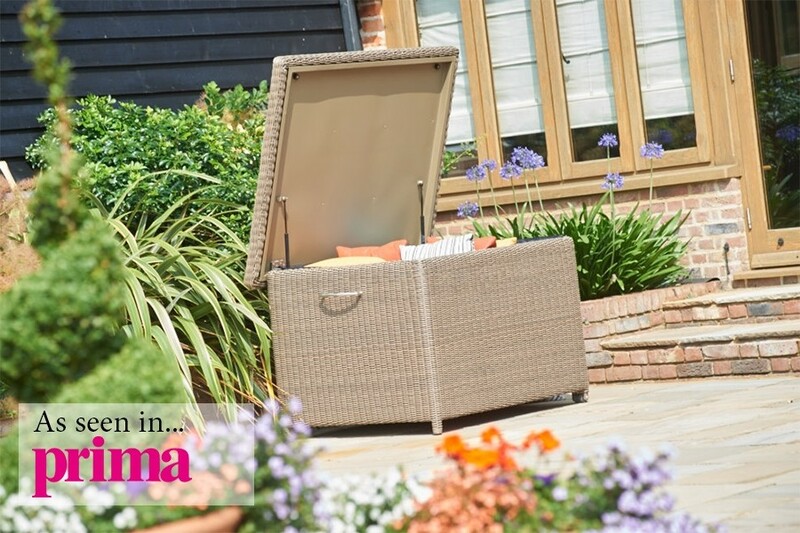 This grand cushion storage box is made from a synthetic rattan weave which is hand woven around powder coated aluminium frames. 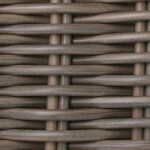 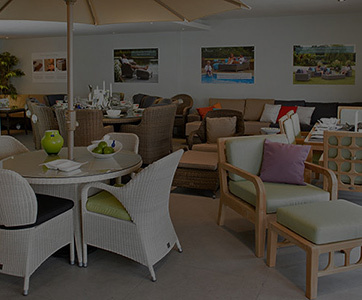 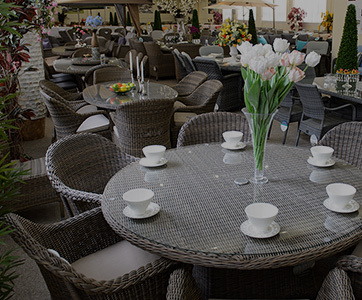 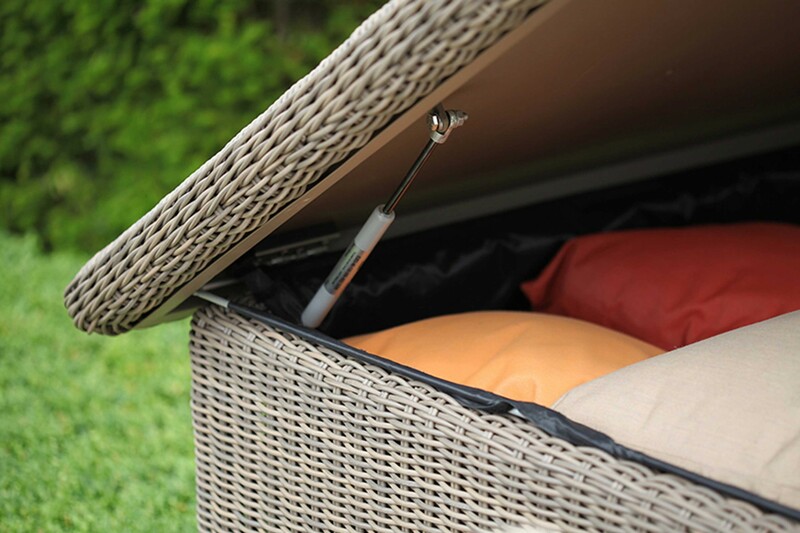 It is extremely resilient to extremes in temperature and is 100% weatherproof. 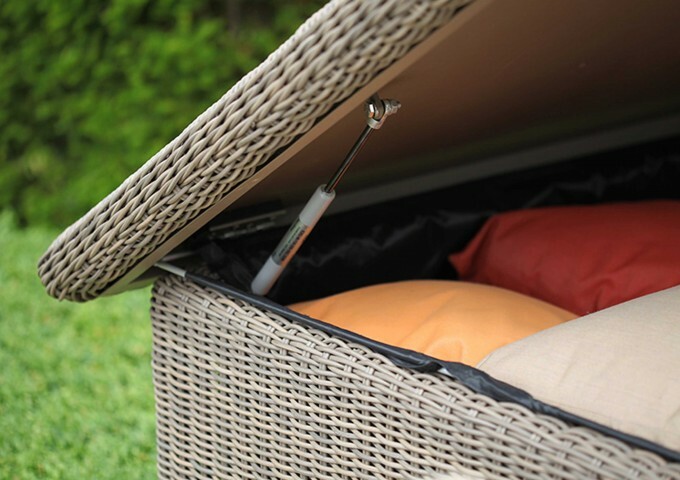 The box is lined with a black waterproof material that also keeps out most insects. 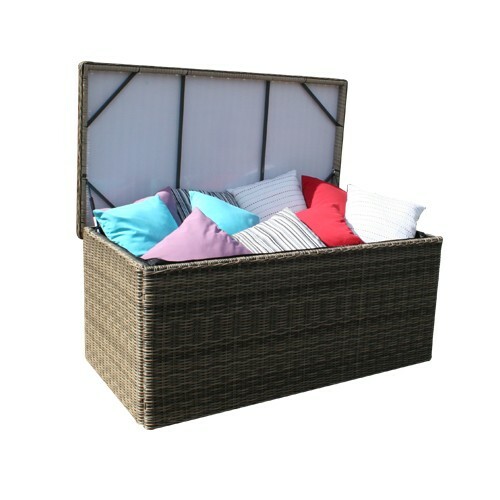 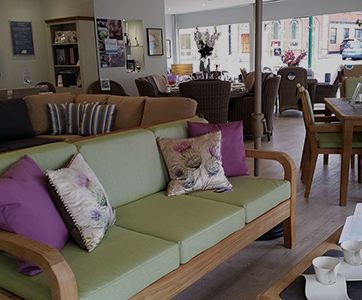 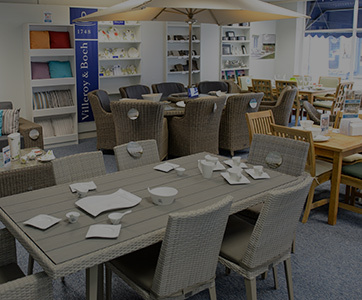 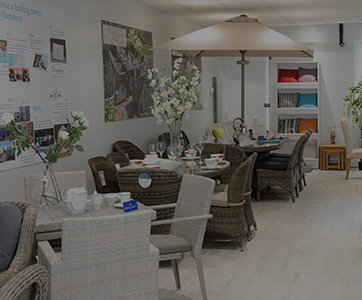 This large box can store a large number of cushions, typically a whole lounging set and a complete dining set worth of cushions. 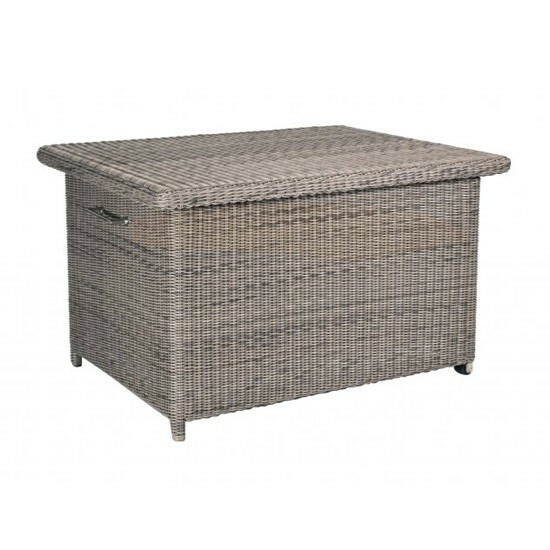 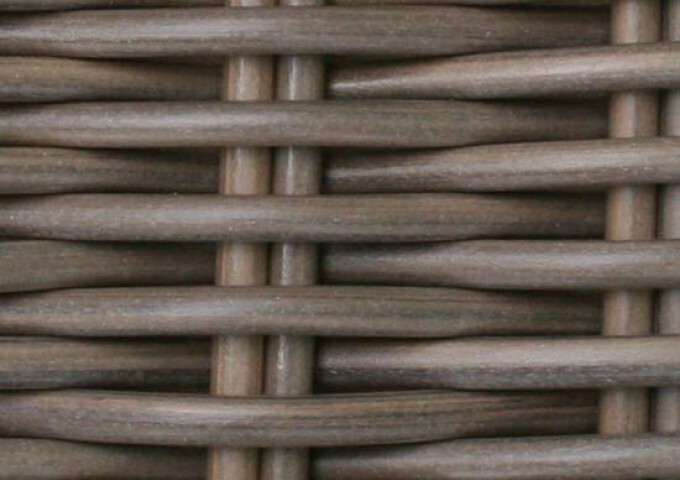 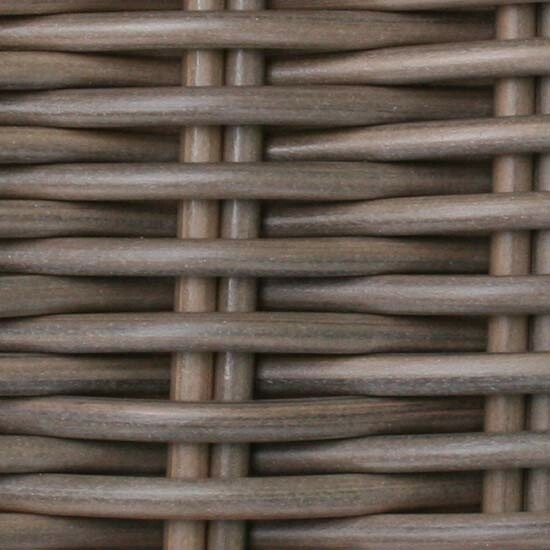 Finished using the All Seasons Pure weave, this rattan storage box looks fantastic alongside the Brighton range of furniture. 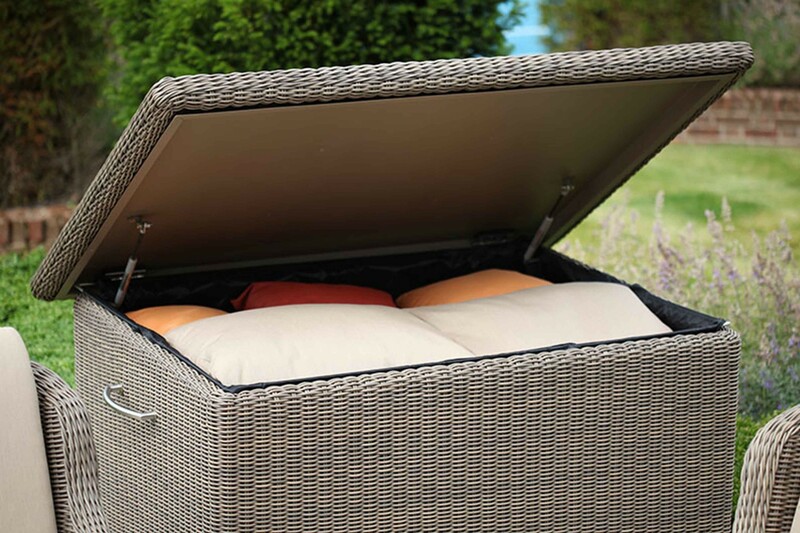 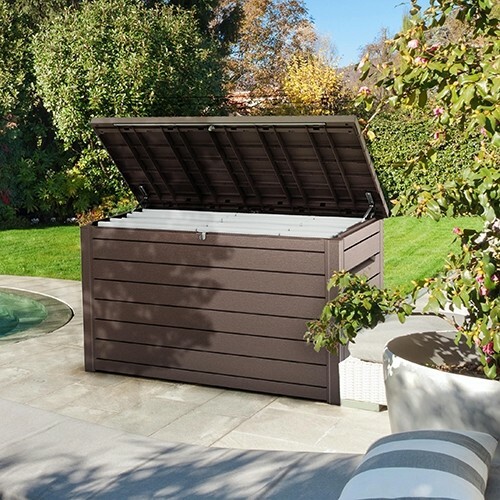 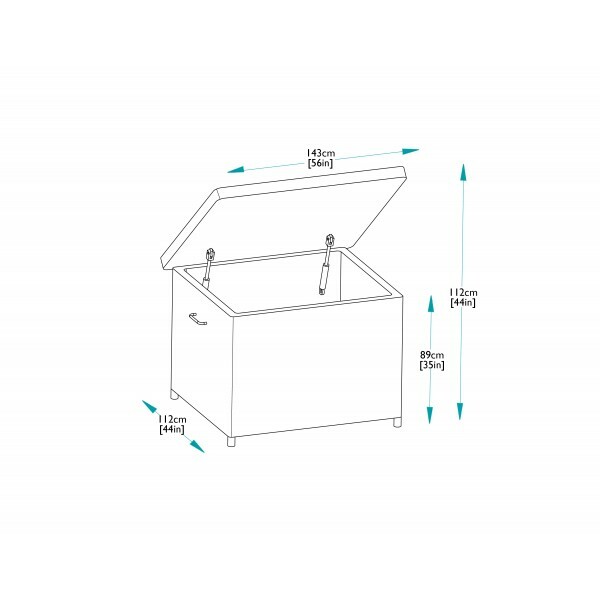 The lid has gas springs to make the opening a closing completely effortless. 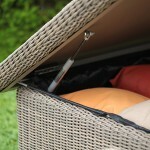 For added convenience, it also comes with a set of wheels and a stainless steel handle for moving.